The person responsible for crafting nooses out of paper towels and hanging them in a bathroom at Mt. 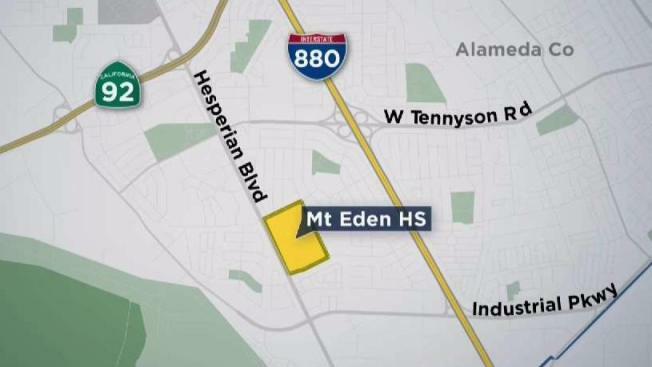 Eden High School in Hayward has been identified, according to the school's principal. The "disturbing display of hate" was found sometime last week, Principal Greg Fobbs said in a letter addressed to the school community. "We recognize that hateful displays can make members of our community feel targeted and unsafe," Fobbs wrote. "Mt. Eden takes this incident very seriously and denounces such acts of symbolic violence on our campus." The bathroom was immediately closed and the nooses were pulled down, according to Fobbs. Campus safety staff on Friday identified the person responsible, Fobbs said. It is not yet clear if or what type of disciplinary action was taken. "While this incident was deeply concerning and disappointing, it is also an opportunity to use as a teachable moment to educate our students," Fobbs wrote. "As a community, let’s work together to foster a safe environment for all at Mt. Eden.